I’m joining the Cornell University Department of Communication! During my academic job search, I have been reflecting on the tremendous opportunity and responsibility for faculty to contribute to society, scholarship, and students (read more here). Last week, I accepted a position as assistant professor with the Department of Communication at Cornell University, in the College of Agriculture and Life Sciences (CALS). I couldn’t be more excited, and I’m eager to learn together with this amazing community and contribute to it as faculty. 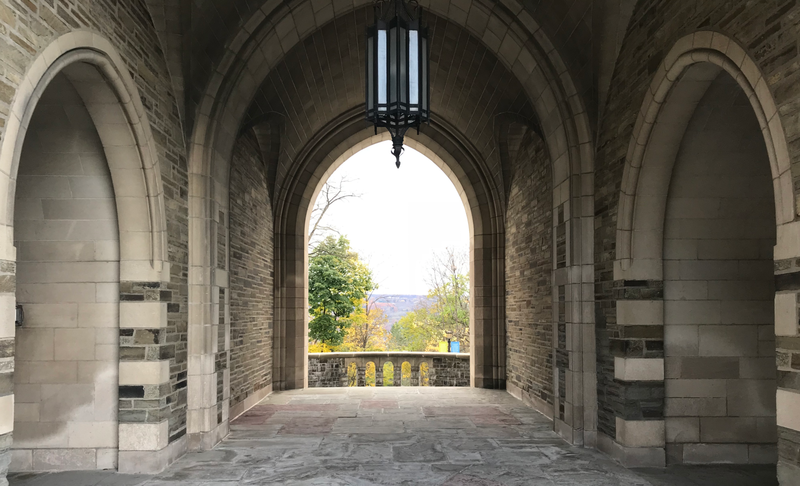 At Cornell, I will have colleagues whose scholarship contributes to communication, human computer interaction, social psychology, and science/technology studies, among others. The department has deep experience working across disciplines and a culture of scholarship in the public interest. I’m also excited to join a cluster of closely collaborating departments that collectively produce world-changing research on technology and society. Communication faculty share field affiliations with information science, computer science, psychology, and science/technology studies, among others. Having spent years at Harvard’s Berkman Klein Center, I hope to connect with Cornell’s law school (home to the society of empirical legal studies) and the great community of researchers at Cornell Tech. This is also good news for CivilServant, the research nonprofit that I started as a PhD student at the MIT Media Lab. CivilServant advances a world where digital power is guided by evidence and accountable to the public. We achieve this vision by collaborating with the public on scientific research that tests ideas for change and evaluates the impact of tech products in our lives. CivilServant now has community collaborators across Wikipedia, reddit, and Twitter, and we have exciting plans to grow in 2019 and beyond. My decision to join Cornell will grow CivilServant’s impact and sustainability. If you’re currently working with us on a project, we’re now in an even better position to complete it well. If you have been thinking about working together, 2019 is a great year to start. While we are still defining the details of CivilServant’s arrangement with Global Voices and Cornell, all of the options involve expanding our work into 2020. Cornell has a long record of innovation on inclusive, public-interest projects that advance scientific discovery. The Cornell Lab of Ornithology, a 114-year-old citizen science project with 400k contributors, has been supported by CALS in many key ways over the last century. In parallel, Cornell also incubated home economics, a 20th-century feminist citizen science movement partly pioneered by Cornell’s College of Human Ecology. I have long admired Hugh DeHaven’s pioneering work at Cornell on crash tests, which transformed automotive safety. In our time, Engaged Cornell provides mentorship, funding, and institutional support to faculty who partner with communities on global issues. Cornell also has a critical mass of researchers who pursue justice and knowledge together, in collaboration with the people most affected. For example, the Worker Institute at Cornell recently worked with Sol Aramendi and NICE to develop Journalera, a mobile app that day laborers use to keep payment records and track wage theft (see this video by Project Luz). My start date at Cornell is July 1, and I plan to move to Ithaca sometime late in the summer. I’m excited to join the strong community of scholars in Ithaca. I’m also thinking about a rhythm of regular periods of a week or more in New York City, where I could work and convene events at Cornell Tech in Manhattan, especially in-between semesters. When deciding, I must admit I had questions about the long winters. According to NOAA data, Central New York gets 154 days with direct sunlight on average per year, while Boston gets 200 and Central Park in New York City has 234 days of sunlight. Fortunately, we enjoy mid-Atlantic winters! If you were wondering in December why I tested full-spectrum lighting and wrote software to calculate how far to travel to improve my probability of sunlight, well, now you know <grin>. Ithaca is beautiful, and I’m hoping for a bicycle commute that strengthens my hill-climbing. After fixing up a small sailboat last year, Dr. H and I are also excited to sail on Cayuga Lake. We expect a bit more wind than Princeton, where we enjoyed floating on lake Carnegie. I have already written about my remarkable parents, who continue to inspire and encourage me. Dr. H continues to be my chief supporter and encourager in uncountable ways. I’m profoundly grateful to her for organizing a series of retreats where we could discuss what we need for a flourishing, long-term arc of public interest research and teaching–including one at Grace Farms in New Canaan, CT. Dr. H is amazing at connecting big questions with pragmatic details, and I’m grateful for those key conversations. Students whom I have been privileged to work with and learn from, including: Jonathan Zong (now a PhD student at MIT CSAIL), Zenobia Chan (PhD student in political science, Princeton), and Austin Hounsel (PhD student in computer science, Princeton). Hal Roberts and Rahul Bhargava, who provided helpful advice from their experience creating and managing MediaCloud within MIT this past year. I learned so many practical lessons from Neil Lewis, Jr. and Jay van Bavel’s materials on Navigating the Job Market, and at the time, I had no inkling at all that I might end up in the same department as Neil! The Emerging Scholars Network, Harvey Fellowship, Veritas Forum, IFES, Oxford Pastorate, and other similar communities, including the MIT, Harvard, Stanford, Cambridge, and Princeton graduate Christian groups, who have provided communities to discuss and imagine an academic career of integrity as a Christian. Stuart Geiger, whose ideas have profoundly shaped my research, and whose open source AcademicPages website template has saved me many days of work. Creators of data that I used when assessing the kind of university I was most interested in, including The Opportunity Insights Team, led by Raj Chetty. These researchers created an index of social and economic mobility that I used when comparing potential universities based on the contribution they have made to equality in America (Cornell has historically been next to MIT in its overall contribution to social and economic mobility among Ivy+ institutions). Over the past year, the CivilServant team has worked with me to imagine and develop this project, and have collaborated on the details of the faculty offer. I’m immensely excited for every opportunity to work with Julia Kamin, Eric Pennington, and Max Klein, and I’m excited to take this next step together. I’m also grateful to every community and research participant who has trusted us enough to work together.